GMC Won't Build A Jeep Wrangler Fighter Because "There's Only One"
Jeep's reply: "That's goddamn right." 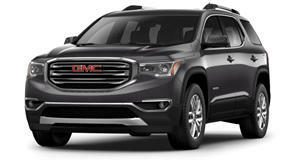 Over the past couple of years, we’ve heard rumors that GMC was considering a direct rival to the Jeep Wrangler. Yes, that would mean a body-on-frame chassis SUV, and not a car-based crossover. A reborn Jimmy, perhaps? Heck, there was just talk about sister brand Chevrolet reviving the Blazer. But like Chevy, GMC has opted out of this purist SUV segment in favor of – you guessed it – a crossover. Automotive News spoke to GMC and Buick global boss Duncan Aldred, who confirmed that a Wrangler fighter is off the plate. 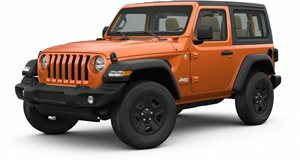 “I don’t think it’s worth trying to take on the Wrangler. But I think there’s an opportunity somewhere in that space.” That space, however, is likely in the small SUV segment. 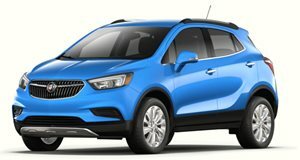 Think a compact or subcompact SUV like the Buick Encore. Oh wait, never mind. The Encore is a car-based crossover. Try taking it off-roading. See what happens. In other words, Aldred wants to potentially target another Jeep, specifically the new Compass. Right now, the small SUV (sorry, crossover) is the hottest thing on showroom floors and Aldred admits that GMC should have been the first to launch such a vehicle. He only took over the brand in 2014 and vehicles take time to develop. Buick, however, continues to enjoy huge profits from the Encore, its top-seller since 2015. Newly launched competitors, such as the Toyota C-HR and Honda HR-V only make jumping into this segment more tempting for GMC. But it’s kind of a bummer GMC won’t attempt to compete with the Wrangler. There was real potential here and it’s not like GMC (or GM) doesn’t know how to build an off-road truck. But the business case must not have made sense. 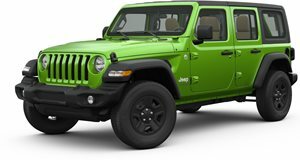 The Jeep Wrangler, what can we say, dominates its segment because it’s so good at what it does. No other brand has the guts to challenge it. Perhaps that’s one of the main reasons why the Chinese are so anxious to buy Jeep.